Wrong for the Part 2017 is a fun collection of monologues and scenes — and even a dance — in which absolutely nobody has an appropriate role. 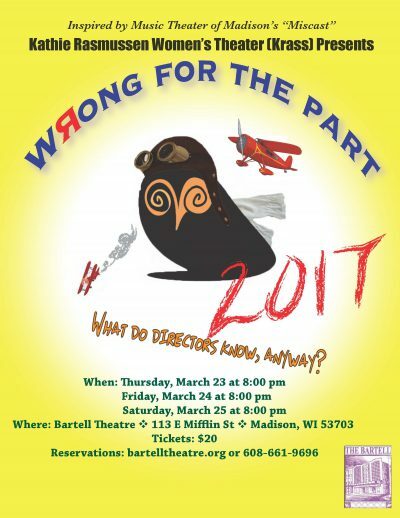 An annual fundraiser for the Kathie Rasmussen Women’s Theatre (Krass), Wrong is so wrong it’s right. About 80 minutes without intermission.